It’s almost the weekend and ByWishtrend is launching a new product as well! Only good news coming our way! Back in September I was contacted by Wishtrend to ask me if I wanted to try their newest product. At that point all I knew was that it contained green tea. I do like green so I accepted! 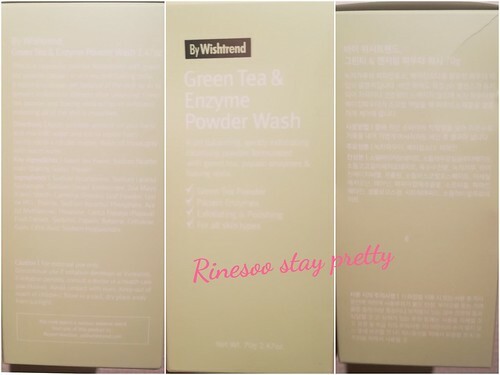 In October I finally got my info and Wishtrend explained they were releasing an enzyme wash. Immediately I was curious as I have never tried an enzyme wash before, and what is an enzyme wash anyway? Basically an enzyme wash is a cleanser that helps break out the dead skin more easily and leave you with a brighter and cleaner complexion. Because it’s a powder the cleansing properties are much more concentrated. It also has an exfoliating attribute because it’s in powder. The PH of these products are usually neutral so it’s also safe for people with sensitive skin. An enzyme wash sounds like a miracle worker that should all leave us with great skin. Let’s see if it’s true, specially this one from Wishtrend, shall we? This product comes in this pastel light box with the writing in white. I honestly do not think this was the wisest choice, as the writing is a bit difficult to read and hurt my eyes a bit. If the green was just a bit darker or have the writing traced would be easier on the eye. I received one of the first batch and found there was typo so hopefully this will be fixed for the next batch. If you’re able to read it, you have the explanation of the product in English in Korean. Once it’s out of the box, you’ll find a green pastel bottle in the same style of the box, which is plastic wrapped. I guess this is to make sure that no powder will spill afterwards. Safe to say mine arrived safely and when I removed the plastic wrap there was no powder that escaped. To open the bottle you just flip it on one side and pour. There is no blocking/doser system inside. 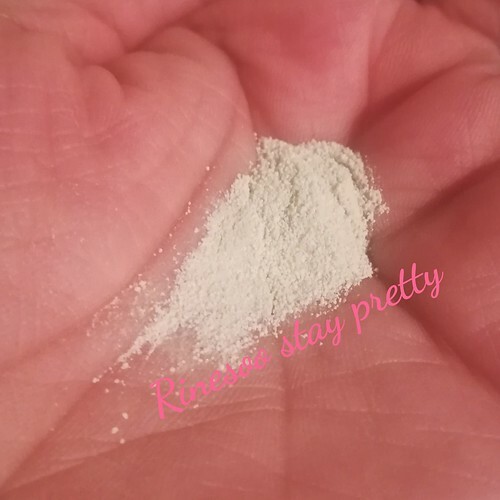 You just pour as much powder as needed in your palm. This contains 70 gr so this should last you at least two months if you use it once a day. I would say this is travel safe as the cap is quite hard to open. 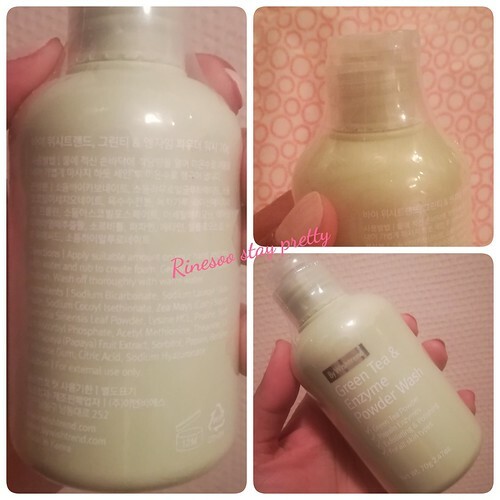 The bottle is made of soft but sturdy plastic, you can squeeze it a bit to force the powder out if needed. 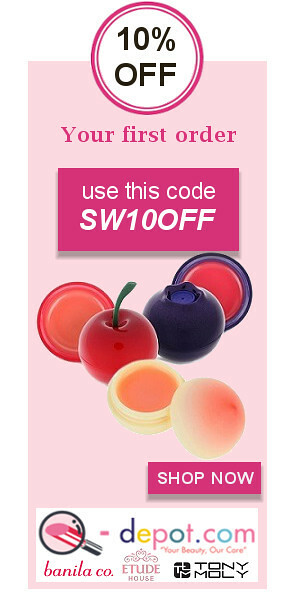 · For thin, sensitive skin, we recommend limiting use to 2-3 times a week. Because this is a green tea product I was really curious if this would be scented or if the powder would be green. And yes this powder smells like green tea powdee, just like the one I use to make green tea desserts. It’s wonderful, I always I could use this to make my green tea cake. And yes again, the powder is green! It is a bit grainy, but still quite fine. This will help for the exfoliating part. Already this product made a good impression on me. The best thing to do is to damp your face and pour some powder in the palm of your hand. 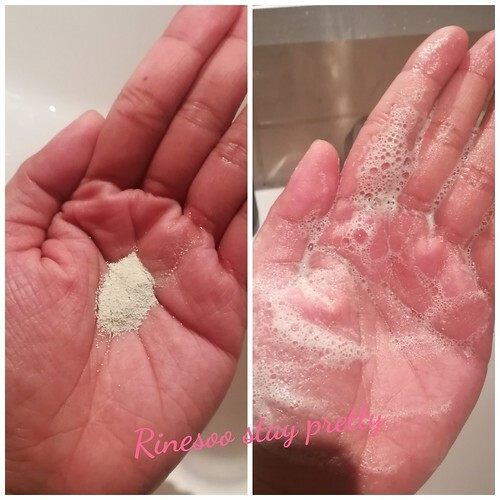 I usually dry the hand where I pour the powder and keep my other hand damp and I lather that hand onto the powder. The green powder turns into a white mousse but not too much. I apply it on my face and start doing circular motion to clean and exfoliate my skin. After a minute I wash the product off with water. My face feel soft and not dried up. I don’t feel any tightness and no dryness as well! My skin does look instantly brighter because it removed all the accumulated dirt during the day, and excess sebum. Well it looks like the promises are true! I love love love the green tea scent! I can’t lie! I do prefer using this at night as I can take more time exfoliating my skin. I have been using this for almost 3 weeks and have no complaints about. 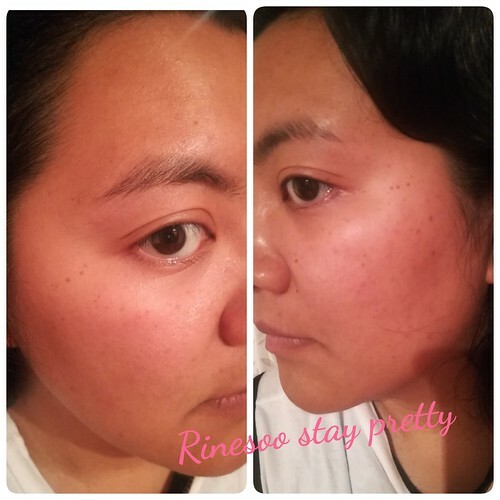 My skin feels softer, it’s not dry and did not break me out at all! Even my sister loves it. She says that her skin is less oilier after using this powder wash.
Do check out Wishtrend for more launching set prices! Thank you once again Wishtrend for letting me try this new product. 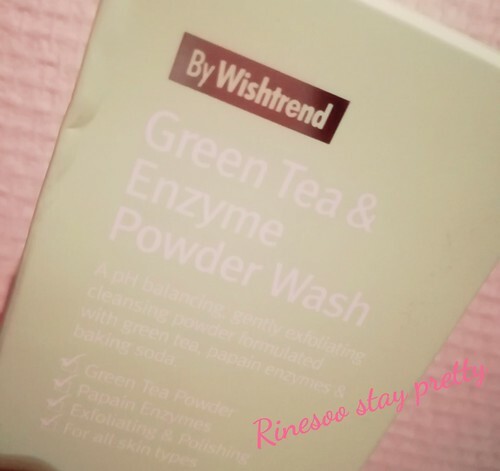 This has definitely opened new doors for me and I now want to try and see if my skin with like other enzyme wash.
Let me know if you’ve ever tried enzyme wash and if you liked it. Note: this item was sent to me for review purposes. This is my honest experience. No compensation was received in exchange.